WASHINGTON - The Democratic National Committee's second in command resigned from his post Thursday after being elected as Minnesota's new attorney general. 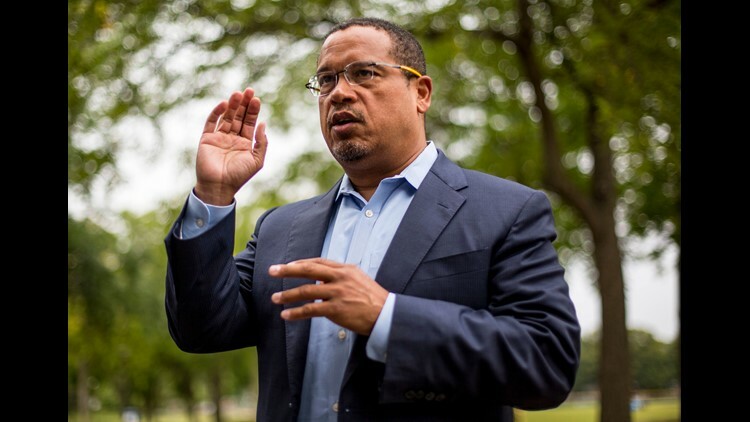 Keith Ellison, a six-term lawmaker representing the Minneapolis-area in Congress, was the first Muslim elected to Congress and announced this summer he wouldn't seek re-election and instead run for attorney general. He faced a tight race for the state's attorney general but was able to fend off Republican Doug Wardlow despite abuse allegations by his ex-girlfriend. He served as the DNC's deputy chairman for about a year. His resignation was announced Thursday by the organization's chair, Tom Perez. It's unclear who will replace Ellison. "Keith's decision means Minnesotans will have a full-time champion fighting for affordable health care, a fair economy and opportunity for all," Perez said in the announcement. "His tireless service as deputy chair enabled us to make substantial progress in rebuilding our party and rebuilding trust with our grassroots." Ellison, a former civil rights attorney, was lured into Minnesota’s attorney general race after incumbent Lori Swanson jumped into the governor’s race. He said it was attorneys general who led the fight against President Trump’s ban on travelers from Muslim majority countries and he wanted to be part of that fight. The accusations surfaced when his ex-girlfriend’s son said on Facebook that he had seen text messages from the Minnesota Democrat threatening his mother and a video showing Ellison dragging her off a bed by her feet while screaming obscenities. The former girlfriend, Karen Monahan, said at the time that “every statement” her son made was “true.” Monahan, a political organizer in Minnesota, has been vocal about the #MeToo movement and previously tweeted about being a victim, but had not mentioned Ellison's name until that point. “This video does not exist because I have never behaved in this way, and any characterization otherwise is false,” he said in a statement.